A strong and effective repellent, Repel Sportsmen Max is an excellent choice. It features less of an odor and won’t leave you with that sticky feeling. Not all repellents should be used on clothing, which is why we love Sawyer Products clothing repellent. It keeps mosquitos from breaking through your clothing and is a great pair for a skin spray. DEET is a well-known ingredient in mosquito repellents, and with almost 100% DEET this product is certainly effective. You just have to get past the initial smell and oily feeling. Summertime is the time of year most people like to spend outside. The weather makes people happy, but sometimes other things get in the way of that. Another creature shares its love of warm weather with us, and unfortunately, that is the mosquito. A swarm of mosquitos is the perfect way to ruin a beautiful summer day outside. Mosquitos bite – we all know that. We have all probably been bit enough to know how irritating and itchy the results are. Enjoying a day outside can be tough when you’re constantly worrying about these pesky insects. That’s why we have put together a list of some of the best mosquito repellents for you to try this summer. Read on to learn more and enjoy your summer bug-free. Protects against a variety of biting insects. Can be used on clothing. 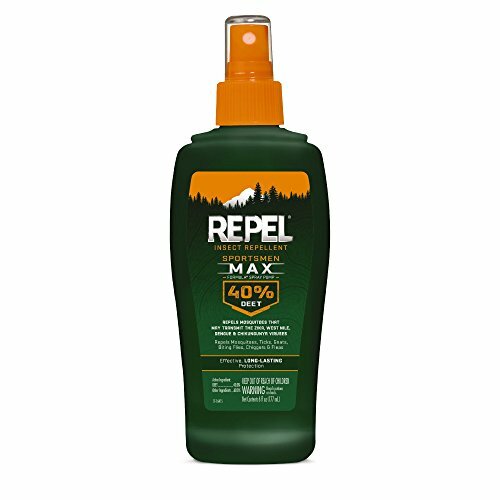 Our best overall product is the Repel Sportsmen Max Insect Repellent. 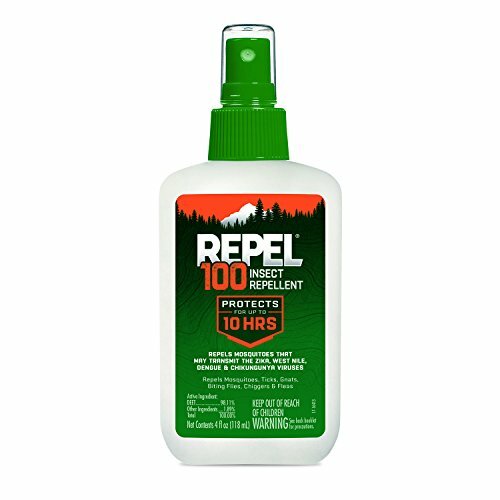 This bug spray uses 40% DEET to protect against mosquitos along with ticks, gnats, and other biting insects. For an excellent price, you can get a repellent with a highly effective formula. This spray delivers up to eight hours of protection with long-lasting effects. You can spray this directly on your skin, but you can also use it on your clothing. That is the recommended use to ensure maximum coverage. Don’t worry about your sunscreen, either – the spray will not disturb its effectiveness. This spray is not completely odorless, but it is much less offensive than others and does not leave as sticky or gooey a residue as others tend to do. Repels mosquitos along with other biting insects. Users often have concerns about repellent sprays staining their clothes with unsightly oil marks. We love Sawyer Products Premium Insect Repellent because it is made specifically for your clothing. Rather than ruining it, this spray protects it. The distributors even recommend spraying this product directly on your clothing before you even put them on. Additionally, this product can be used on other surfaces like backpacks, gear, tents, plastics, and finished surfaces. After it dries, it is odorless and leaves a lasting effect for up to six weeks. Use this spray against mosquitos but know that it will also be effective against ticks, chiggers, mites, and other biting insects. It is ideal for hunting, camping, hiking, and other outdoor activities. A commonly-used ingredient in insect repellents, DEET has been proven time and time again to be highly effective. 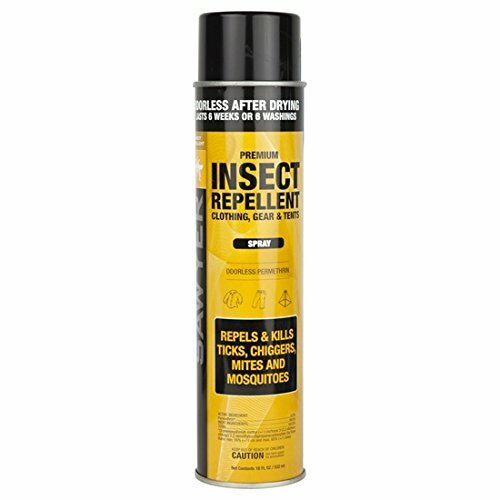 Repel 100 Insect Repellent uses 98.11% DEET, making it an extremely effective repellent spray. This spray repels mosquitos and other biting insects effortlessly. Lasting as long as ten hours, this spray instills confidence in outdoor-lovers. Some people don’t like DEET because they have concerns with high levels of it. However, the EPA marked this ingredient as safe to use. Use caution when spending long periods of time in the sun though, because it may interfere with your sunscreen’s effectiveness. This repellent stands out from the other because rather than being in the form of a spray, it’s a lotion. 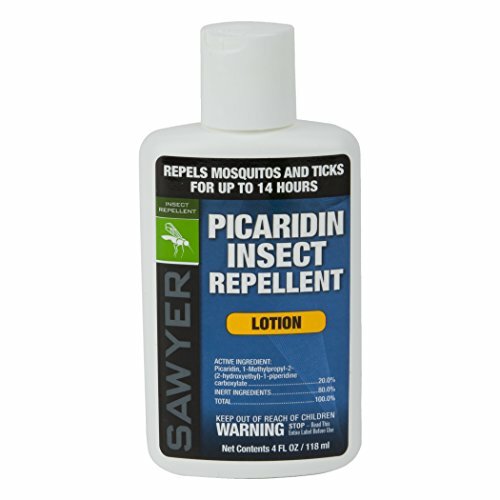 Sawyer Products Picaridin Insect Repellent uses the active ingredient Picaridin rather than DEET or other popular ingredients. Just 20% of this ingredient is highly effective. In fact, some argue that Picaridin is more effective than even DEET. This non-staining formula won’t ruin your clothes, and it is completely safe to use on your kids. Use it anywhere on your body, distributing it wherever bugs can reach. The formula won’t ruin camping or fishing gear, watches, firearm finishes, or other fabrics. Since lotions evaporate slower than liquids, this formula lasts as long as 14 hours against ticks and mosquitos. The long-lasting ingredients make it great for overnight camping and long hikes. Additionally, it protects against flies, gnats, and chiggers. Feel free to use this lotion in tandem with your sunscreen, as it won’t affect your sunscreen’s protection. We can reduce our risk of contracting these viruses by using mosquito repellents and preventing infected mosquitos from biting us. There are so many options on the market today of various sprays, lotions, and products that claim to be the best in preventing mosquito and other insect bites. How can one really know which is truly the best? Are we really expected to try them all to make our choice? It can be a little overwhelming, but sometimes just having a little more knowledge of the subject can help you make an informed decision. That’s why we have provided you with some basic information about repellents and mosquitos to help you along. The purpose of an insect repellent is right there in its name: to repel. Today, we are discussing a specific insect, the mosquito. Let’s take a closer look at what you should be looking for in a good mosquito repellent. The first thing you should look at is the active ingredients. Some tried, and true ingredients used often are DEET, Picaridin, Pyrethrin, and Oil of Lemon Eucalyptus. Some of these are naturally occurring, and others are synthetic, but they are all well-proven and popular. Whether you prefer organic or not is completely up to you. The next thing you can decide is what form you prefer. The most popular form of insect repellent is a spray. Sprays are easy to apply and are pretty reliable. However, some people don’t like the smell or feeling of a spray. Alternatively, you can look into sticks, lotions, and wipes. Lotions tend to last the longest because their thicker formula takes longer to evaporate. A product like repellent wipes is convenient to carry and easy to use in hard to reach areas. If you don’t like the feeling that a spray leaves behind, try a stick or a lotion. If you are concerned about coverage, a spray or wipe is probably better for you. I think we all realize that the obvious reason to use mosquito repellent is that the insects are extremely annoying. There is nothing to like about the bugs. Some people don’t like spiders, but at least spiders kill other insects. Mosquitos don’t do anything positive. All they do is bite and cause itchy, swollen bumps that have us miserable for days. Aside from these side effects, mosquitos can actually pose serious health risks. Various species of mosquitos are capable of carrying different viruses that are potentially deadly to humans. They can transmit these diseases to use through their bites. Those viruses include the West Nile virus, equine, and malaria. We can reduce our risk of contracting these viruses by using mosquito repellents and preventing infected mosquitos from biting us. Repellents do more than make us comfortable – they can quite literally save our lives. Sometimes you’ll get spiders in your home inadvertently as hitchhikers on other items you bring into your home. You’re most likely to find them in dark areas where they prefer to hide. Mosquitos bite because they survive on blood—that much is well-known information. However, did you know that only the female mosquitos feed on human blood? The females of the species need the protein in our blood so they can develop eggs. Meanwhile, the males mainly eat fruit and plant nectar. Females lay their eggs in the water. This is why you will often find yourself getting bit around bodies of water more often. The water is necessary for proper development of the eggs. In fact, baby mosquitos will spend the first few days of their lives in the water. When the weather changes and the temperature drops, mosquitos actually hibernate. They don’t like temperatures of 50 degrees or below, so they go into hiding. After the winter and spring pass and the temperatures go back up to about 80 degrees, they will come back out. The weather is the reason we won’t see mosquitos in the winter. While a male mosquito usually only lives for a matter of days, a female can live for a few months. Females can lay as many as 300 eggs at once, so although they don’t live long, they mass produce. This ensures the continuation of the species.